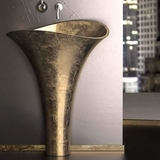 Brilliance and Finesse. The Lux Crystal 3- hole Luxury Bathroom Spanish faucet with sophisticated elements and stylized by its gracious iconic form. 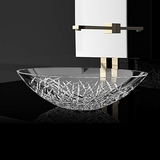 The Lux Crystal design, inspired flair, is obtained through a meticulous handmade silhouette, a true masterpiece of Spanish Design. 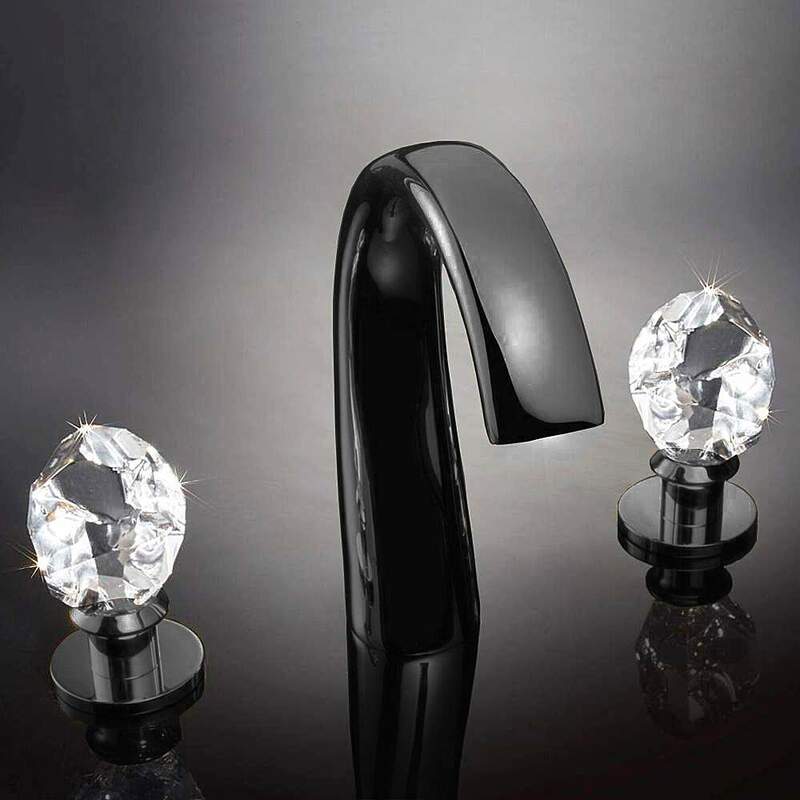 This luxury faucet, traditionally strong and innovative with handles to represent the world�s most treasured diamonds and its brilliant graphie color, enhance the preciousness of this workmanship. 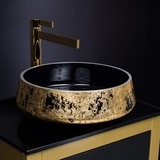 This luxury faucet has a fixed height to accommodate most any style of bathroom sink. 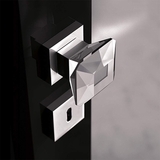 The Lux Crystal luxury bathroom faucet will be the signature focal point in an ultra-elegant bathroom. 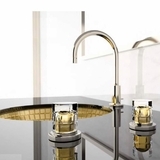 The modern faucet is made of lead-free brass and is easy to install and maintain. 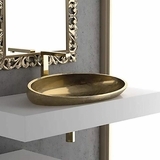 Whether your design style is transitional or modern, MaestroBath products will compliment your home improvement project and add a lavish, luxurious feel while protecting your health, safety, and the environment. 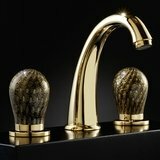 The Lux Crystal 3-hole Luxury Spanish faucet will make a unique statement with its designer-inspired color: Polished Gold, Polished Chrome, and Graphite. MaestroBath is made of the highest quality materials to ensure an elite performance and style. These products are much more impressive in person and therefore we offer a Free-In Home Trial for your complete satisfaction or money back guarantee.